Scott Kay, a top jewelry designer, has masterfully designed the details of this impressive engagement ring to incorporate a wonderful contrast between old world beauty and modern details. Gleaming in lustrous platinum, the band is an intricately carved leaf and scroll motif with beaded edges. Modern curves of platinum encase the gorgeous side diamonds and bezel set accent diamonds, .71tdw to magnify the pure beauty of your personally selected center stone. Complete this elegant Scott Kay setting with a Forevermark loose diamond from Tara Fine Jewelry Company, a distinguished Rolex and Tag Heuer dealer. 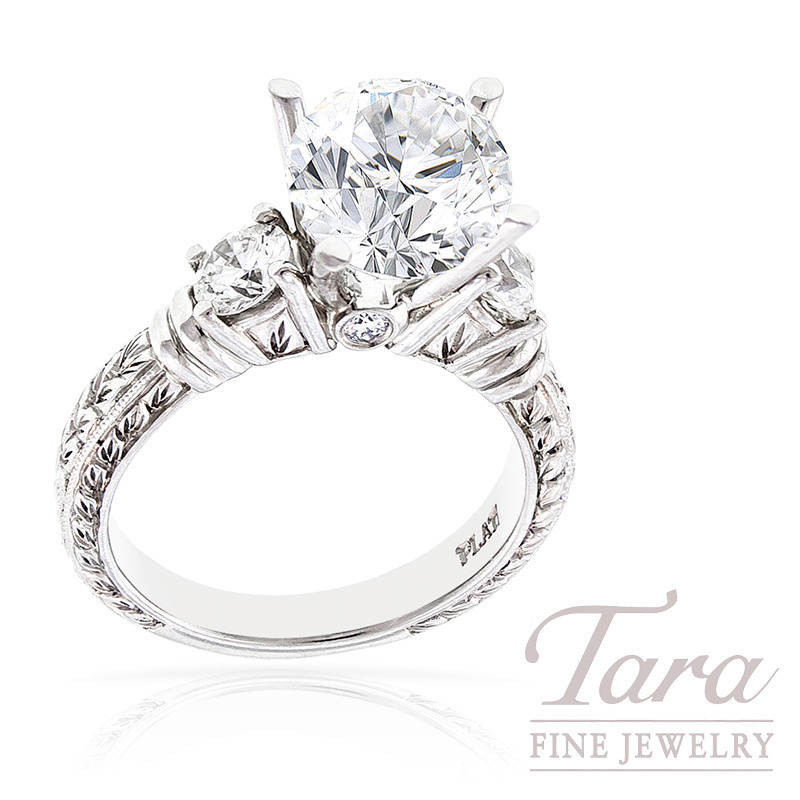 As a family owned business for over 28 years, Tara Fine Jewelry Company is conveniently located in Buford and is pleased to feature the latest styles from the most renowned jewelry designers.